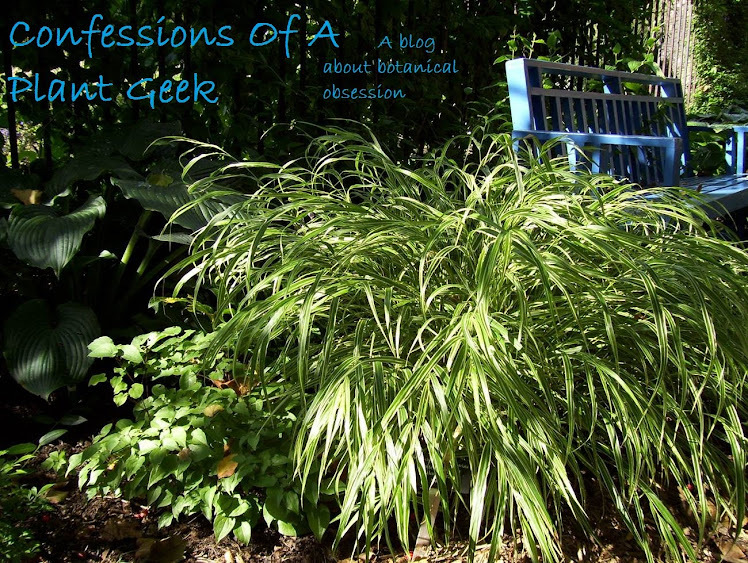 Confessions Of A Plant Geek: Has it really been almost a month? I'm afraid it HAS been nearly a month since I've posted anything and summer is now 2 days away from being officially over. It's been a busy month full of projects both personal and professional, with little time for taking pictures or even having a good idea of what to write about! For customers of the Flower Source, a couple of quick news items. Nearly all plants are marked down at least 50%, some as far as 80%. Mums, Asters, and Pansies are ready and finally showing color. Corn stalks, gourds, and firewood are in. Pumpkins should be in by the end of the week. We've been working on giving the place a facelift, with new paint all over. We're not quite done yet, but our garage is now Geranium Red and is AWESOME looking!!! Also lots of new bright colors in the garden center. In somewhat sad news, my trusty sidekick Jess is leaving us this week to start as a horticulturist for Milwaukee County. I've been working on a number of other projects outside of work. The main one of interest here is that my wife and I are starting our own small mail-order nursery. we'll be concentrating on plants for shaded and partially shaded gardens, and we should be ready for business Feb. 1st. We've been busy clearing an area for a 13'x80' hoop house, which I should be putting up tomorrow if the weather cooperates. It will be an adventure balancing 2 jobs in retail horticulture! Enough late-night non-plant babble. Regular plant posts will resume tomorrow! Run for your lives!!! It's... a MINT!